Rainbocorns – hatch, hug, play! Rainbocorns are born from sugar, spice and everything magically nice!! they hatch from their colorful rainbow eggs to be your sparkly, sassy new best friend!!! Rainbocorns are made of sparkles, sequins, and surprises! 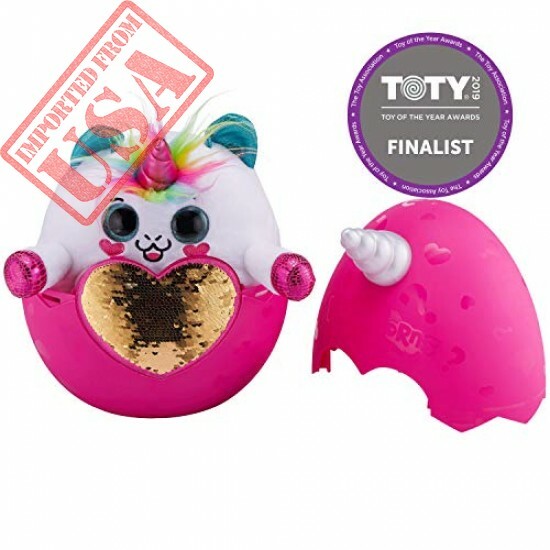 Every rainbocorn comes in a unique magical egg and has a hidden surprise! Reversible and removable sequin tummy heart patch reveals a new surprise and gives Rainbocorns their special powers! Build your collection with a puppy corn, kitty corn, unicorn, monkey corn, and hamster... all with their own sequin surprise!